Adam Foster Fine Jewelry necklace from the Plume Collection. Polished 18-karat yellow gold hardware and plume rondelles. 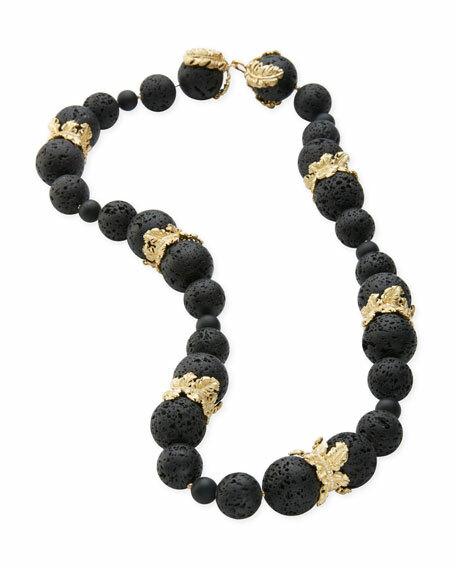 Multi-size round black lava beaded strand. White diamond pavé details plume stations. For in-store inquiries, use sku #2527110.